This weekend we finally found Warren Mill Farm. You see, Squeaks and I visited about three years with my parents. It was a bit of a bind to find. Squeaks had just started walking, and all I remember is how all these animals ran round her feet (very Mary Poppins-esque!) and spurred her on. Unfortunately, we hadn't bought her any shoes yet, it started to rain, and to top things off I hadn't taken my camera. So, with the boys gaining confidence in their walking, and us now home, I really wanted to take everyone. We tried to find it a couple of weeks ago, got lost, went home. We tried again this weekend, had to take two cars and I still couldn't find it. I gave up to go home and as we driving back down the A48, there was a massive sign- it was just where it said it was. It's just a shame I hate country lanes as much as I do! I have been fortunate, after completely over selling it to the OH, it was as I remembered it. With the added bonus of a gorgeous, sun filled day. 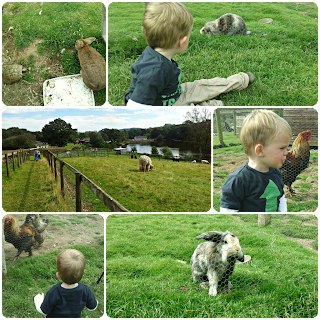 The farm is a visitor attraction, I am not sure it's a tourist destination- and this is what makes it so great. The place is small and homely. Overlooking a gorgeous lake- which was of much interest of the OH due to the number of anglers. The farm boasts ducks and geese which roam freely, and happily so. Peacocks, squirrels, chickens, rabbits and a tortoise as little, penned animals. There's a great children's park which the was great to burn off some energy whilst the OH and his mum enjoyed a sausage butty- both commended the quality, especially as they were cooked fresh. We all enjoyed a picnic with a hen as our guest. 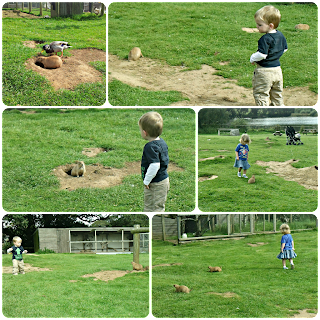 The children all loved the small animals. The boys didn't mind the emus or sheep, but were petrified of the llama and miniature ponies. But the animal which most made it for me is the American Prairie Dog. I didn't know they were called this, I have spent the last three years calling them gophers! Prairie dogs are ground dwelling squirrels, and if they didn't live in a tunnelling system with little mounds of earth for them to perch on all over the place, I'd love some as pets!! As hoped, the three little people were absolutely taken with them. And my day was complete! Oh wow, it has so much in common with Coombemill looking at those photos. 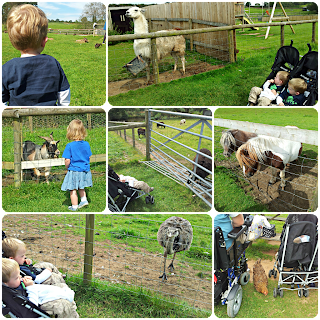 The children are right to be scared of the llama, we have 3 alpaca and they definitely choose when to be friendly and when to intimidate you! They look more scary than they are though. Glad you found it this time and that it lived up to expectations. Thanks for sharing on Country Kids. Wish we had had as good of an experience as you at Warren Farm - we went over the weekend and like you it's a bit of a nightmare to find, but eventually stumbled across it. It was a more expensive than advertised on the website - should of been £2.50 per adult and £1 for children so it should of come to £6 but when we got there the guy looked at us like we weren't local and it was as if he invented an amount with no explanation to how much it was per person so it came up to £8.50 for us. Nearly all the toys in the park are now broken and there was no food to buy on sight as the small cafe was closed. 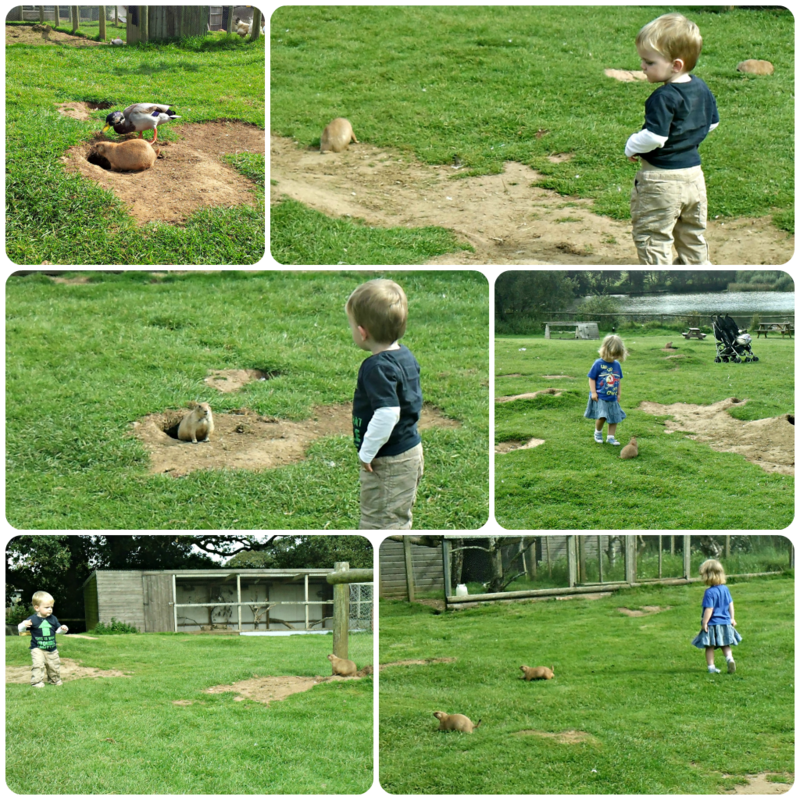 We are a pretty laid back family, don't mind dirt or mug and love love love spending time outside but we could see all the animals because the tracks where water logged and not being able to get a warm cup of coffee when paying quite a bit for something with limited facilities was awkward. It hasn't completely put us off trying again in summer, just wish they would update the website if the prices have in fact gone up. What are you doing tomorrow? Wear a tea cosy!